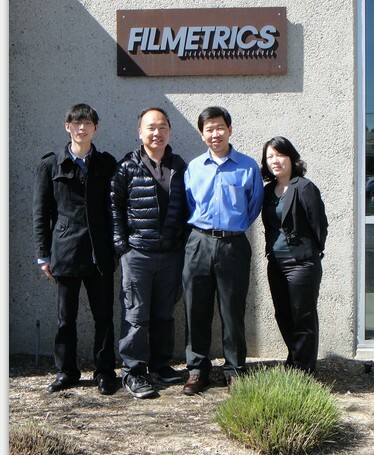 USA - Mar, 2013 – As of the end of 2012, Dymek China has sold, completed installations and got acceptance of over 160 Filmetrics thickness measurement systems. 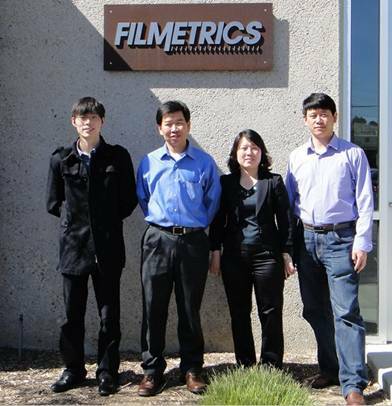 We would like to thank the continuous patronage of customers from all different industries, thanks to the strong support from Filmetrics Headquarter in San Diego, Filmetrics Applications Laboratory in Sunnyvale and Filmetrics Application Laboratory in Taiwan, & thanks to the efforts of all staff in Dymek China, may we excel to a higher level further in 2013. Back in 2009, we only sold in F20 and F10 series devices. In the later years, with many times of trainings by Filmetrics & Dymek China internally, which greatly enhanced our ability of sales and after-sales support to Filmetrics products. Now we have sold the series of F30, F37, F40, F50, F60 and F70, and we are the first who sold those series in China. 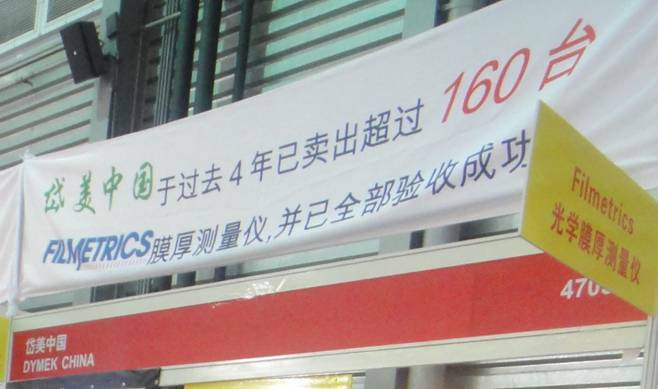 We seriously treat & deal with every customer, with our high level of professional and technical services to the high standards of customer requirements, & through continuous improvement, we won the recognition and support of a large number of customers, in the 160 sales orders, the proportion of repeat orders from old customers is increasing, & the reputation of Dymek China is getting better and better.